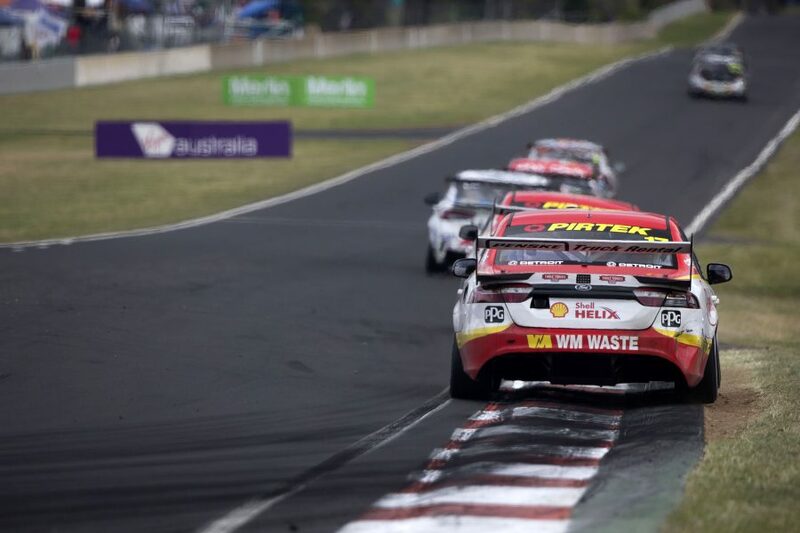 Finally realising his dream of standing on the Bathurst podium, Scott McLaughlin came close to recreating one of the Great Race’s most memorable moments. 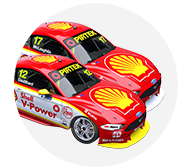 McLaughlin finished third with co-driver Alex Premat in the 2018 race – DJR Team Penske giving the Falcon a final Bathurst podium before being replaced by Mustang. Holden, however, took the big prize, with victory for Craig Lowndes alongside Steven Richards a hugely popular result, especially with fans gathered under the podium. A mix of boos and cheers greeted McLaughlin when he took his place on the podium, to which he responded by pointing to the Ford badge on his race suit. Later reflecting on the experience, McLaughlin referenced Steven’s father Jim Richards’ infamous response to a booing crowd when he won the 1992 race for Nissan. “It’s very cool, it’s starting to sink in a bit more,” he said of making the podium in his seventh Bathurst start. “I guess [when] I walked off the podium, I was a bit… it’s something you dream about to be on the Bathurst podium and I missed out a couple of times. “To be close to the win, not that close, but nice to be right there, I probably picked a cool one to be on, it was very special. “Congratulations to [Lowndes and Richards], they drove a faultless race… it was something I’ll cherish forever because that was cool being on the podium with them. Starting fifth, the #17 Ford had been among the frontrunners for most of the race, leading from laps 45 to 56. 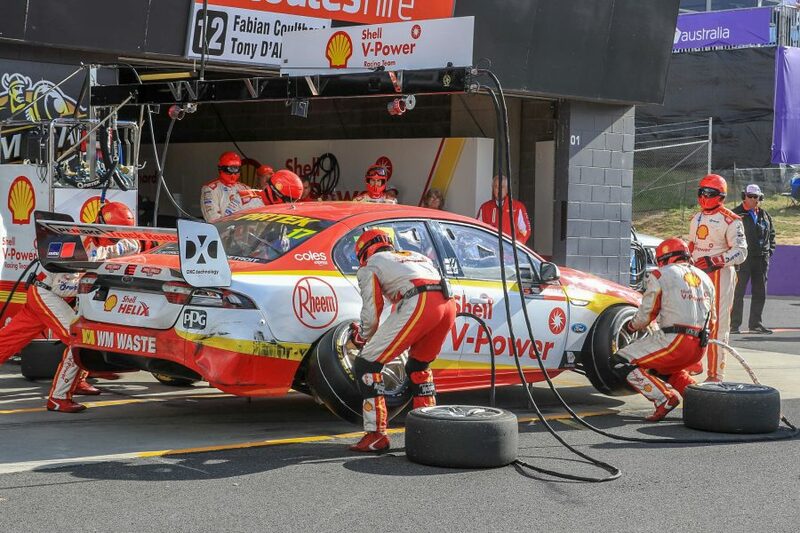 However, a delay during a brake rotor change hurt their cause and offs at The Chase for both Premat and McLaughlin had the duo playing catch-up for the second half of the race. “It was early days when Alex took the lead, but it was looking good there for a while,” McLaughlin said when asked if he ever felt a genuine contender. “All day the car was fantastic, I think we had some little issue in that last stint because I really suffered a lot at the end of the race, and we had the little [brake] rotor problem. 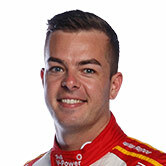 With Shane van Gisbergen finishing fifth, McLaughlin has trimmed the Red Bull driver’s championship lead from 55 to 19 points with three events remaining. “We aimed for a top five, a solid result, because it’s gone begging for me this race the last few years,” McLaughlin surmised. 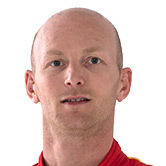 “I think we achieved what we wanted to achieve, we caught some of the lead back.